Truck accidents are devastating. Besides death, you could lose the use of your senses. There are many negatives associated with accidents of this nature. 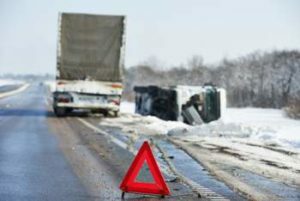 If you experience a truck accident, it is important you consult a truck accident attorney as soon as possible. After the trauma of a truck accident in Lancaster, you have a right to make a settlement claim. This should help ease the discomfort you feel. A smart personal injury lawyer in Lancaster can help make this claim a reality. Rawa Law Group is an outstanding firm and has helped many clients get compensated for damages incurred during accidents of this kind. We are enthusiastic to help you with your case. Our efficient truck accident attorney in Lancaster can get started on your case regardless of where you are currently staying – the hospital or your home. This is ‘our’ battle, so you would be well-informed of the progress made during the duration of the case. Lawyers at Rawa Law Group want the best for their clients and they put in the effort without faltering. Previous clients can confirm the level of diligence with which these attorneys go about their duties. In the end, victory in the court brings consolation to the distressed clients. Also, we don’t put any financial burden on you regarding our services. Payment only gets in the mix of things when you have won the case. If things go south, everyone goes home with nothing including Rawa Law Group. If you are eager to get started on the case, Rawa Law Group can have a truck accident attorney immediately. You can contact us through our details below for a free case evaluation.